Gray dapples slithered below the skies north of Naguilian Municipality, (40 kilometers from Baguio City) as a lone man crossed last Sunday to Naguilian Road’s left side, hoping for a tricycle bound to Cabaritan Sur, barangay in Naguilian. Holding a dark jacket – apparently a Baguiote as evidenced by the jacket, trademark of Baguio folks being toted even in warm areas, as compared to those living in the lowlands – he cooled his heels, unsure if a ride going to Cabaritan still plied the road, it being past 6 o’clock, evening. A short distance from the road, an unpretentious house stood, its kitchen light throwing stabs of challenge at the looming darkness. Besides the house’s post, a man sat, listening to a song from his cellphone. The incoming evening and the song rendered the lone man’s heart to skip a heartbeat, forcing him to revisit a past. He wondered, how such song, in a way or another, had affected millions worldwide ever since it was sung. Indeed, an endearing and enduring melody that stood time’s test, even as mortals bicker. A good song’s power is never diminished every time it’s heard; it resides in the mind, admired and embraced even as smiles of the past are banished. A good song can be compared to a beautiful character, as morning light or evening darkness, that develop a perfect day, the lone man surmised. Though lost in sublimity of thought, the lone man still discerned the evening’s change, 6 o’clock already gone, and past seven already. The air was still warm, the browning grass half-buried along the road and the singing of birds near at hand. Cicadas started to hum. Hearing the woman’s supper call to her husband, the lone man smiled about spaghetti. “Mabalin itulod nak idiay Cabaritan Sur, balay da Mr. Romblon Dacones?” the lone man asked. “Wen manong, ammok diay balay da,” replied the driver. The lone man boarded and the tricycle roared off. “Apay ngamin, nagka-aberya ka?” the lone man asked. Kaso, pabalagbag sungbat diyay driver, kunana, “Nakitak bossing. 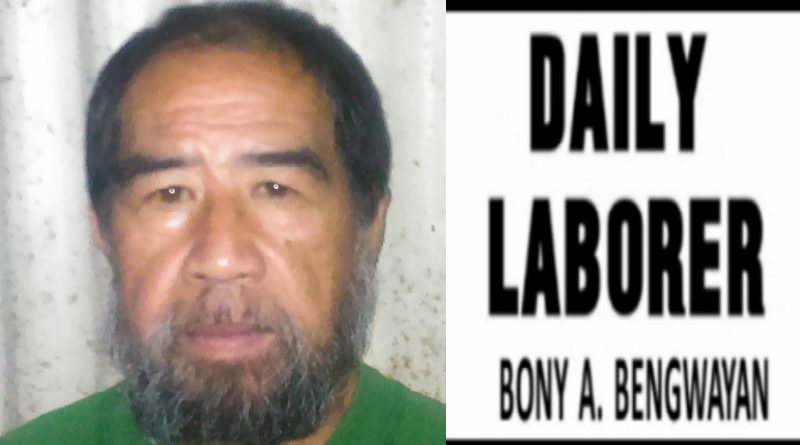 Sika ti saan ko nakita.” Tinikitan la garud diyay enforcer. They arrived at Romblon’s house, teacher by profession, who, together with his wife (both just married 5 months ago) work in separate private learning institutions in Baguio. With their hard-earned money, the duo is scouting to buy a little piece of land either in Tuba, La Trinidad or adjacent areas where they hoped to build a house. Meantime, they go home to Naguilian Friday afternoons after adjourning their classes. He’s is totally ignorant in the use of cell phone, and relies much on use of the old but reliable telephone, because a telephone can even unmask a lie, the lone man intimated to Romblon. “How so?” asked Romblon as the two exchanged banters. So the loner related about Ramil Bilal, their friend. “Still remember him?” the lone man asked. They went in and the lone man got introduced. “Thank you very much, Ma’am,” the lone man answered, truly flustered by Semana’s statements. In midst of their conversation, a brownout occurred in their barangay. First thing Romblon did was peep out the window to see if their neighbors have light. It made the lone man smile: nu idiay US ket naawanan kuryente, ayaban da electric company. Idiay Japan, I-test da ti fuse ti balay da. Ngem idtoy Pilipinas, tumam-aw da tawa ta kitan tayo nu adda silaw kaaruba. Unique ti Pinoy. But the lights came back. The lone man peered at his watch, realized it was past 8 o’clock P.M. and said he had to go. Romblon, his wife and their parents insisted he sleep in their home. “Adda maysa kwarto a bakante, ken nu kayat mu maturog ka idiay datar nu madim kama,” Romblon insisted, laughing. Grinning, the lone man mulled. He thought a bed is a bundle of contradiction. Sometimes we go to bed with reluctance, yet quit or leave our beds with reluctance. Sometimes we make up our minds every evening to leave bed early, yet while our minds are willing, our bodies refuse to cooperate, curling instead and wrapping the blankets tighter. He could stay, why not. But of all thoughts that swell the bosom of a traveler, thought of home is still highest, the magnet of every traveler’s very thought by day and calls up the gay perception of good spirits at night. Home is the sacred seat of tranquility, to preserve which inviolate, any weary traveler will pour forth the best in his/her bosom. Few might realize the blessings they enjoy in possessing a home. But any houseless vagrant, the wanderer without end or aim, they can tell, that life is protracted existence without it. Sungbat ni kaarubam, “Talbos ti kamote nga na-baggoongan ken pinis-itan ti kamatis. Sika ngay, anya sida yu met tatta a rabii,” saludsud ni kaarubam. Home’s call is what the sun is to the day and what the moon is to the night, and is the last earthly charm that can call the throb of happiness to the heart of the soul-sick and the despairing mortal, even to one whose brain might be addled by contents of the bottle, after work. Second drunk insisted, “Balay mi daytoy, pusta ta,” sabay kinatok na ti ruwangan. He boarded a tricycle back to Naguilian Road; sensed of all the pleasures he felt that Sunday, returning home and embrace of a friend, Romblon, were the happiest, ‘till congenial spirits meet again.